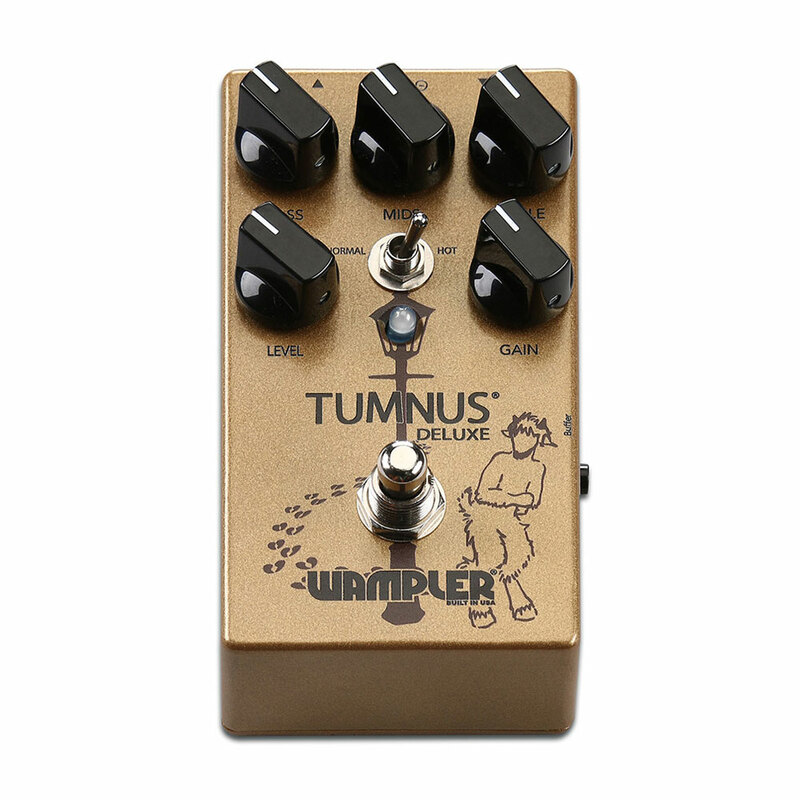 The Wampler Tumnus Deluxe is the expanded version of their incredibly popular Tumnus overdrive pedal, with full 3 band EQ, a higher gain setting and switchable true bypass. 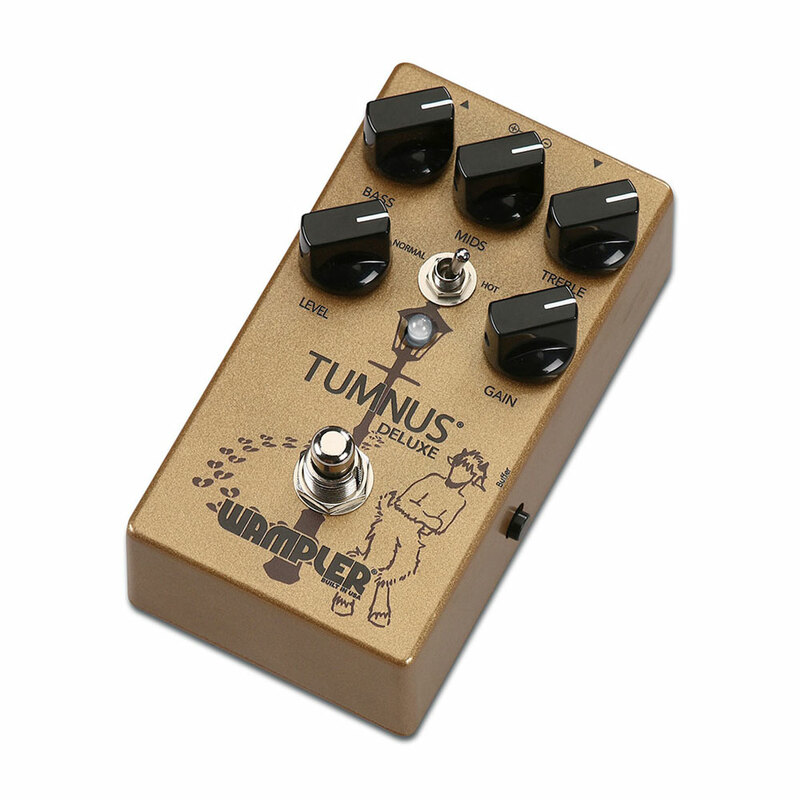 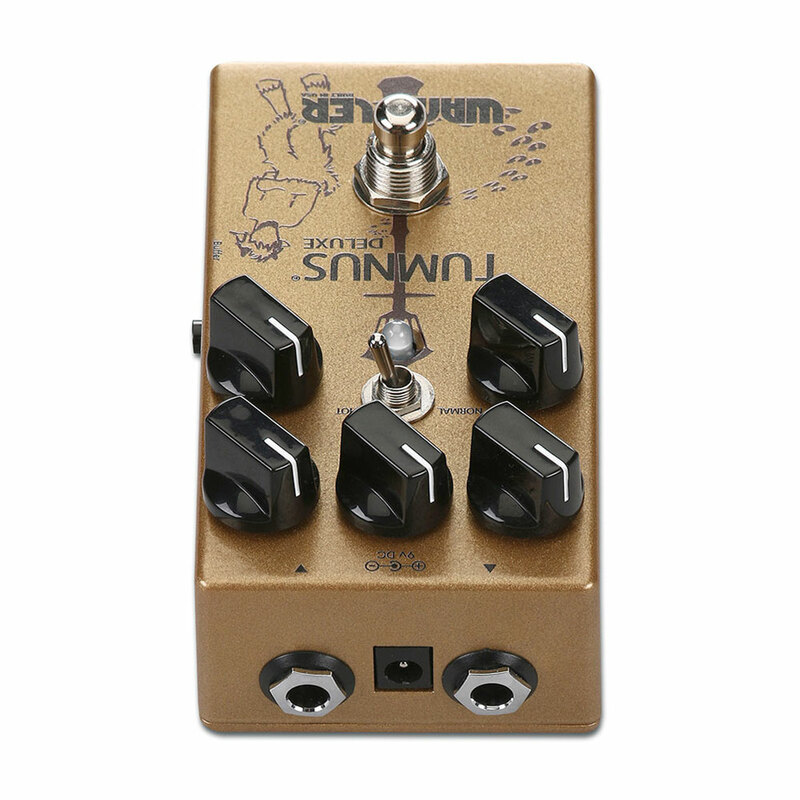 With the bass and mids knob at 12 o'clock, buffer on and gain switch in normal mode, you get the original sound of the regular Tumnus pedal, but now you can boost or cut bass and mids to perfectly sculpt your tone with warm low end, instantly identifiable midrange, and just the right amount of top-end sparkle, through any rig. 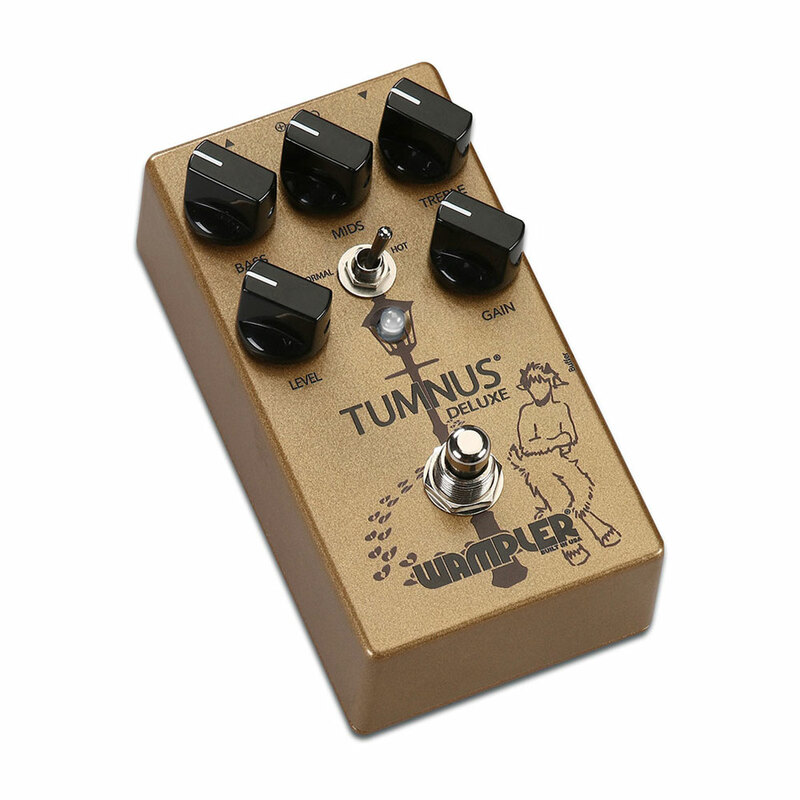 Switching the side mounted buffer switch off gives the uncoloured tonal purity of true bypass pedals that a lot of people love and the addition of the gain switch gives access to higher gain sounds than the original, further increasing the versatility. 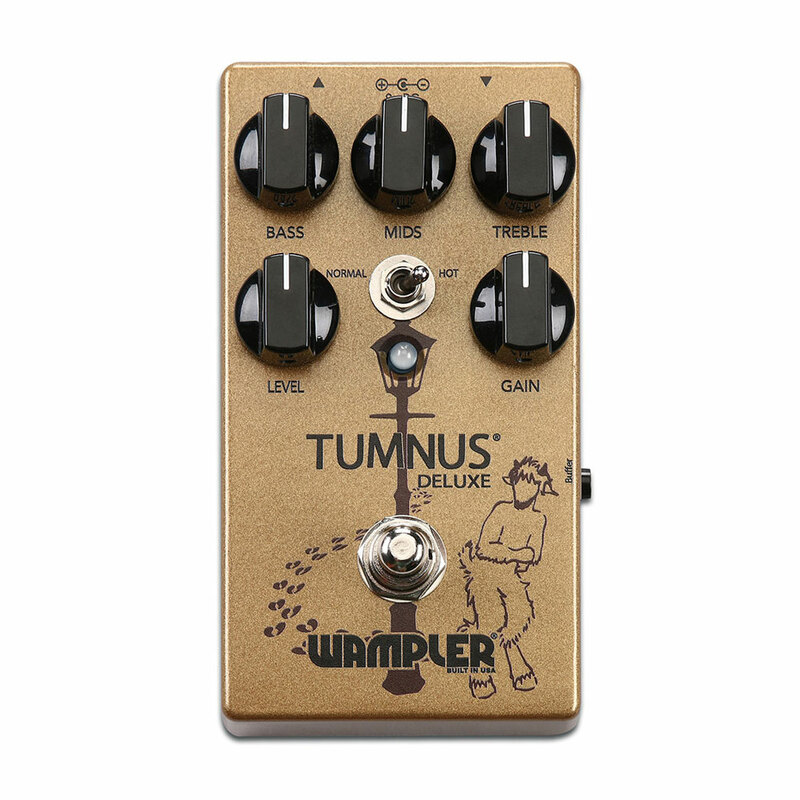 The Tumnus Deluxe delivers all the clarity, high-headroom output, and amp like breakup that made this style of overdrive pedal so iconic, whether you’re boosting a driven amp, another pedal or using it as a standalone overdrive, the versatility and control of the Tumnus Deluxe is another fantastic addition from Wampler.